XL 3835 x 2557px 15 Mb. Professional bodybuilding athlete relax after exhausting training. 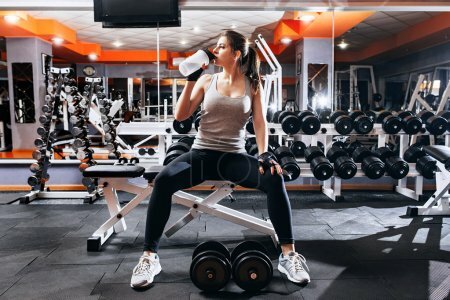 Athlete relax and drink water from sport bottle in gym interior.